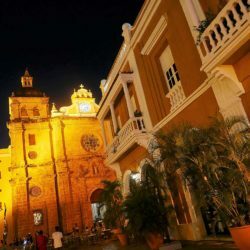 Cartagena is a beautiful walled city on the shores of the Caribbean Sea. 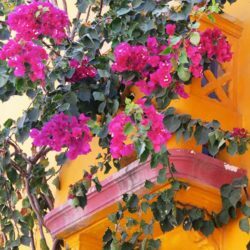 From its colonial architecture, stone sea and land walls, bougainvillea draped walls, charming balconies and so much more, the architectural details and ornamentation of the historic center of Cartagena are favorite backdrops for local and visiting artists. Not only are the walls colorful, so are the people. 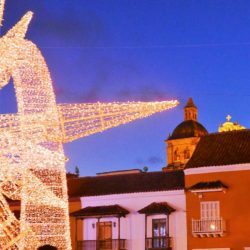 From the Afro-Caribbean culture and their famed “Palenquera” women, carrying fruit baskets and their lively dance rhythms, Cartagena is a vibrant city. 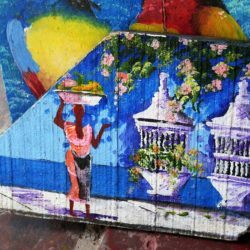 Other highlights include wonderful crafts, delicious cuisine of fresh ceviches, fish empanadas and more. On the cultural side, we love exploring the forts, Gold Museum, Anthropology and Naval Museums. 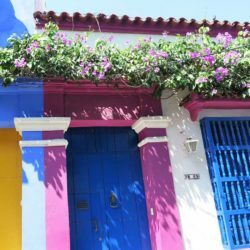 There is a lot to see and do in Cartagena, and on the outskirts, as well. 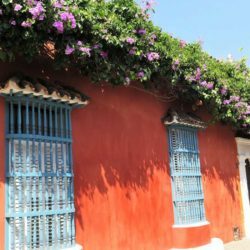 San Basilio Palenque, home of the first Cimarron slaves of the Americas, La Boquilla, fishing village, exploring Cartagena by sea, are some of our favorite excursions. 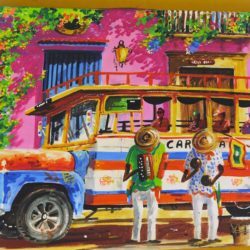 Bring your curiosity, your appetite, dance shoes and paint brushes on an Artist’s Journey to Cartagena! 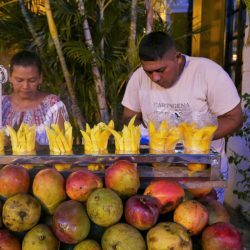 Visit San Basilio Palenque, a singular Afro-Caribbean Community near Cartagena. 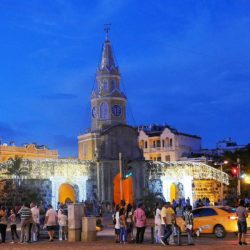 There is great connectivity between Orlando and Cartagena. Through Miami or Ft. Lauderdale on American, Avianca, Jet Blue, you have several options. We’ll arrive and check into our charming hotel, Hotel Bantu, steeped in the architectural vernacular of the region. Depending on arrival times, we’ll do a light walk-about to get oriented in the Historic Center, and we’ll enjoy a fun Welcome Dinner of local cuisine. 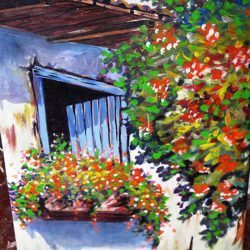 After breakfast, we’ll explore Cartagena, scoping out our first au plein air site, to set up our easels. We’ll enjoy a light lunch before our first sketching session. Evening at leisure. After breakfast, we’ll sketch / paint. 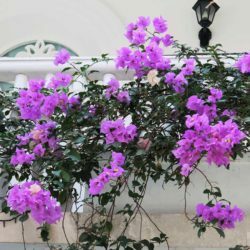 We’ll break for lunch, then spend the afternoon exploring colonial Cartagena to learn about its history and visit highlights, such as the Gold Museum here, where we’ll learn about the Zenu people. 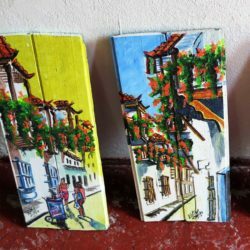 Included today is a special visit to Artesanias de Colombia, where we’ll receive a review of the crafts of Colombia and of course, an expo-venta! We’ll enjoy lunch to experience regional cuisine of Colombia! 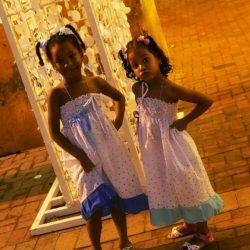 Our evening is at leisure to possibly dance to the Latin rhythms, so famous in Colombia. After breakfast, we’ll sketch / paint. We’ll break for lunch, then embark on a boating excursion to explore the Cartagena harbor and see the city from the ocean. We’ll stop at an important fort that played an important role in protecting Cartagena from attacking pirates. Returning to Cartagena, the evening is at leisure. After breakfast, we’ll sketch / paint, and the remainder of the day is at leisure. Today, we’ll embark on a canoe, boating excursion to see and learn about a community of local fishermen, just outside of Cartagena. 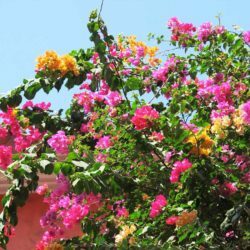 We’ll enjoy lunch and a swim on the beach, before returning to Cartagena for the rest of the afternoon, evening at leisure. Today we’ll go to the singular Afro-Caribbean community of San Basilio Palenque, the earliest community of runaway slaves in the Americas. Led by Benkos Biohio, he led the people to their freedom, established a community and all learned a unique language to keep their conversations internal. Given the singular and extraordinary characteristics and heritage of this community, it has been declared a UNESCO World Heritage location. We’ll be honored to meet community leaders, artists and musicians here. Arriving back in Cartagena we’ll relax before going to dinner to bid our farewells and, “until next time”! 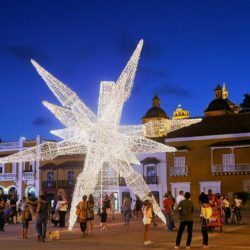 Day Eight: Saturday, March 30, Return Flights home or extend a day in Cartagena, or take an extension to Medellin!